Product categories of Road Cutting Machine, we are specialized manufacturers from China, Road Cutting Machine, Roll Forming Cutting Machine suppliers/factory, wholesale high-quality products of Cement Road Cutting Machine R & D and manufacturing, we have the perfect after-sales service and technical support. Look forward to your cooperation! Concrete cutting machine (also known as a consaw, road saw, cut-off saw, slab saw or quick cut) is a Power Tool used for cutting concrete, masonry, brick, asphalt, tile, and other solid materials. There are many types Concrete cutting machine ranging from small hand-held saws, chop-saw models, and big walk-behind saws or other styles, and it may be powered by gasoline, hydraulic or pneumatic pressure, or an electric motor. 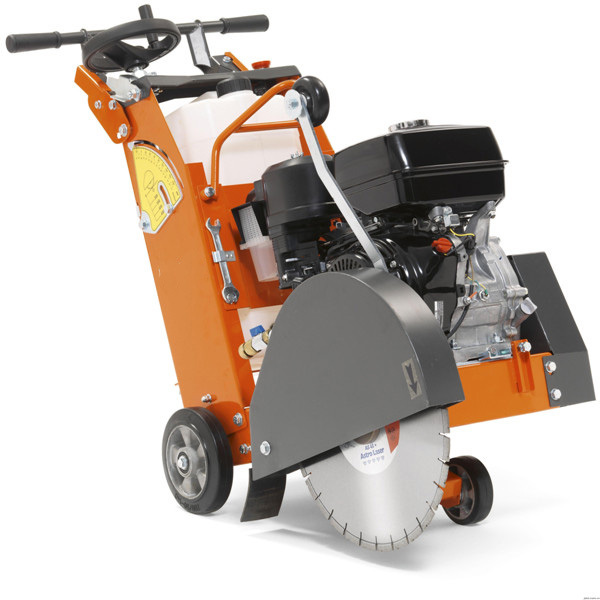 The Concrete cutting machine blades used on concrete saws are often diamond saw blades to cut concrete, asphalt, stone, etc. Concrete cutting machine abrasive cut-off wheels can also be used on cut-off saws to cut stone and steel. The significant friction generated in cutting hard substances like concrete usually requires the blades to be cooled to prolong their life and reduce dust.